Adjustable bases continue to grow in popularity and the reasons for this are numerous. They began as medical products and these products were simple and had a cold, clinical feel to them. When the category moved into the consumer realm, many models retained their hospital–like feel, but adjustable base manufacturers found the way to improve their products, making them more functional and replacing the stern medical details with more aesthetically pleasing, user–friendly details that appeal to consumers’ needs and sense of style. These new bases are equipped with many great features, wireless remotes and powerful but quiet motors and they are not only capable of solving various health problems from sleep apnea, snoring, acid reflux, swollen feet and pain in the back to fybromialgia and high blood pressure, but they can also perfectly blend with consumers’ bedroom decor and provide them with a fully customized sleeping and relaxing experience. 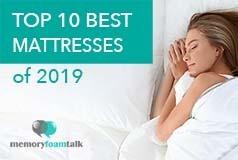 There are many new online mattress companies that sell a great variety of these adjustable bases and the one we’ll be reviewing today comes from Helix Sleep online mattress company. Click here for the lowest price available on a Helix Adjustable Base. Launched in 2015, Helix Sleep is the first personalized online-only, direct-to-consumer mattress company. It sells mattresses that are tailored to the specific sleeping habits and body type of each consumer based on their answers from a questionnaire that they are required to complete on Helix’s website. Just like the Leesa Adjustable Base we have recently reviewed, the Helix Adjustable Base is a beautiful and elegant base with a slim and simple design. The Helix Adjustable Base can work perfectly well with the mattress you have at your home, provided it is flexible enough to do a little bit of bending, but usually all the beds that come compressed in a box can fit the adjustable base. The base is made of a steel foundation and solid wood with an upholstery finish and two quiet but powerful motors (per Twin XL) which allow seamless changing of positions which is especially appealing to those sharing their bed with a partner. This adjustable base is entirely wrapped in one piece of soft and durable fabric and is unlike other adjustable beds that have multiple sections, each individually wrapped in their cover. Besides this, the Helix Adjustable Base has four 2.5″ adjustable diameter legs which give you the option to adjust the height of your base in a range from 6-10″. So, you can adjust the leg height of your adjustable base and it will perfectly fit into most bed frames. There is also a layer of foam around the edges of this base which increases its overall comfort and helps avoid painful bumps when getting in and out of bed. This base has special MicroHook technology that includes special friction strips that prevent your mattress from sliding of the base and completely eliminates the need for a retainer bar. But, the base also comes with a large metal retainer bar that can be placed at the bottom of the base just in case you want to be totally sure that your bed won’t slide of the edges while adjusting positions. All of the functions of this adjustable base can be accessed and controlled via a wireless remote that comes with it. 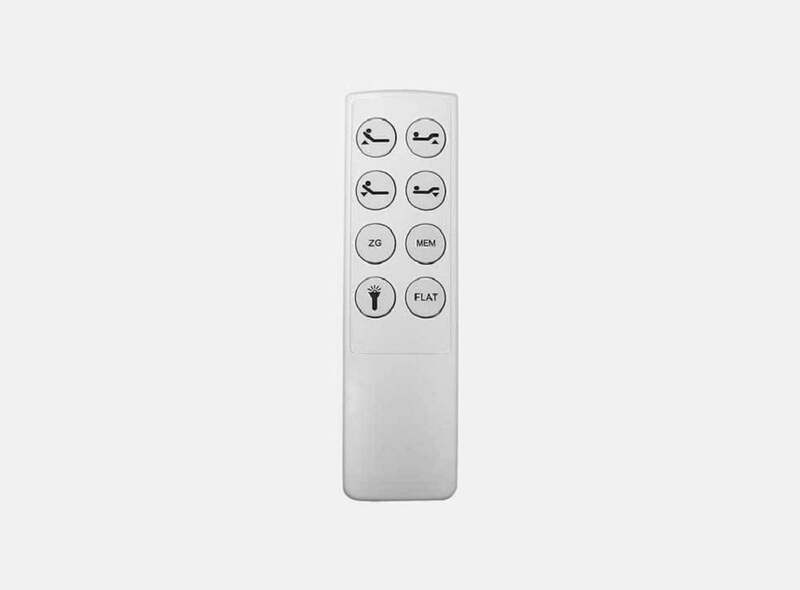 The remote offers a user-friendly interface with the buttons that are simple to understand. It is easy to be used and comes with a flashlight on top which allows you to light up your way in the dark and find something without the need to switch on the lights everywhere. The Helix Adjustable Base comes neatly packed in a box. Upon opening the box you will see that it’s wrapped in plastic package that keeps it clean. All you need to do to fully set it up is to get it out of the packaging, turn it upside down, attach the motor to the base, plug the cables to the power supply, screw in the legs, turn it over, and plug it into the wall to operate. The setup process is pretty simple and it took us less than 15 minutes. It doesn’t require any special tools though you may need the help of at least two people to move and set up the base as it is a bit heavy. The Helix Adjustable Base is available in both split and single options, and they can perfectly fit a great variety of mattress sizes. A split adjustable base may be an excellent solution for those who share their bed with a partner with different needs and sleep preferences as it allows for each person to select their own sleep position without disturbing the other, and it also eliminates any motion transfer between the partners. This time, we used a single base (Queen size) which worked perfectly well with our Helix mattress and it proved to be a really good choice for us as a couple. We are satisfied with its overall comfort and support and how silently it moved when we wanted to change positions during the night though we were forced to make certain compromises as we couldn’t adjust positions to our liking separately. 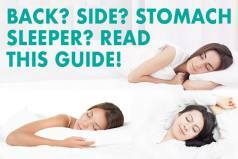 We are primarily side sleepers and it worked perfectly for us when when sleeping on our sides and we felt our hips and shoulders to be properly cradled and supported. 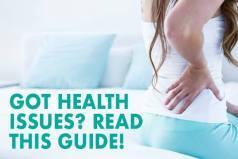 As for other positions, we didn’t feel any discomfort while sleeping or relaxing in other positions as well and didn’t feel our spines to be out of alignment. Some people complain that using single bases and one mattress, especially if the mattress is of a lower quality, can cause excessive motion transfer and discomfort when adjusting positions, but this wasn’t the case with the Helix Adjustable Base and our extremely comfortable Helix mattress which we designed online and had custom manufactured for us. The base worked perfectly well with the Helix mattress created according to our individual needs and provided us with equal amount support and comfort in any position we chose and minimized excessive sinkage motion transfer to a large degree. Our blended Helix mattress uses different material construction on each side which largely isolated movement between us so neither Andrew nor myself felt any disruption in our sleep or shaking of the mattress when we adjusted the base to other positions. Andrew also didn’t cause me to roll into him due to our weight disparity and make me experience that well-known feel of sinking into a hole. The Helix Adjustable Base is a great base that comes with several features and can provide you with an opportunity to fully customize your sleep and make your bedroom your own with a push of a button. It offers several options to lift your head and feet to create a comfortable position for watching television or reading and relaxing all at the push of a button on your wireless remote, and regardless of the position you choose, you’ll feel amazing comfort and support. Besides these ordinary head and foot incline features that are great for everything from reading or watching TV in bed to reducing snoring, the base comes with zero gravity and memory settings. Zero gravity positioning setting allows you to adjust the base to slightly raise your legs and back to make you feel like you are floating and provide you with proper spinal alignment and support. This position simulates the sleep position of astronauts and is considered to be an optimal body position that reduces the forces of gravity on your spine, eliminates pressure points and back pain and improves circulation for more comfortable and painless nights. Whether you spend your time in bed reading, working, or watching TV, a programmable memory option for your favorite position allows you to create and save your favorite position and reach it every time you go into a bed simply by pressing one button on your wireless remote. As mentioned, the remote is easy to be used and comes with a flashlight on top which allows you to light up your way in the dark or easily find something you need. Finally, the Helix Adjustable Base, in addition to the variety of sleeping positions it offers, comes with multi-port USB charging station which allows you to charge your smartphone, tablet or any other portable device without having to run long wires around your night table and have them near you in case you need them while relaxing or taking a nap. The Helix Adjustable Base is pretty reasonably priced, coming in at $1195 which is an excellent value given the quality construction, modern design of this adjustable base and many features that it offers. Due to the nature of this adjustable base, the company doesn’t offer return or trial period, but the base comes with 25-year limited warranty and is shipped for free. Is the Helix Adjustable Base Right for You? Buy the Helix Adjustable Base if you like:. Modern adjustable bases – The Helix Adjustable Base is a modern adjustable base with a slim and simple but beautiful and elegant design. Regardless of its slim design, the base is sturdy and durable made of steel and solid wood. It features four adjustable legs that give you the possibility to adjust the height of your base and an upholstery finish. It also comes with MicroHook technology that prevents the mattress from sliding of the base and a powerful but quiet motor which allows seamless changing of positions. An adjustable base with many features – Although the Helix Adjustable Base has no underbed lights and massagers, it comes with several USB ports, wireless remote control with a flashlight and many other great features that make it truly unique. Besides ordinary features such as head and foot incline, this adjustable base also comes with programmable memory option and a weightless zero gravity positioning setting which can slightly raise your head and feet to improve your blood flow, relieve pressure points on your body, help you with swollen feet, stimulate relaxation and rejuvenation, and reduce stress and fatigue. If you are looking for a modern, durable and reliable adjustable base that can function either with or without foundations or box springs and that can perfectly work with a great variety of mattresses of different sizes, then you should look no further from the Helix Adjustable Base. It is a great adjustable base and we are really satisfied with how well it worked for us. It is true that it doesn’t have a massage feature, or underbed lighting, but it offers many other features that make it stand out from other adjustable bases available on today’s online market. It has a sleek modern design, four adjustable legs that allow you to adjust the height of your base in a range from 6 to 10 inches, head and foot incline features and zero gravity positioning setting which guarantees total relaxation and a restful and painless night’s sleep. Besides this, it offers you the ability to create and save your favorite position and reach it every time you go into the bed simply by pressing one button on your wireless remote. As I have already mentioned, the remote is easy to be used and comes with a flashlight which allows you to light up your way in the dark without the need to switch on the lights in your room. All in all, the Helix Adjustable Base is an amazing adjustable base. It will not only improve the quality of your sleep and relaxation, but its modern design will also make your bedroom aesthetically more pleasing.